Picture Stone Jasper gets its name from the “pictures” that seem to form in the stone when it is cut and polished. 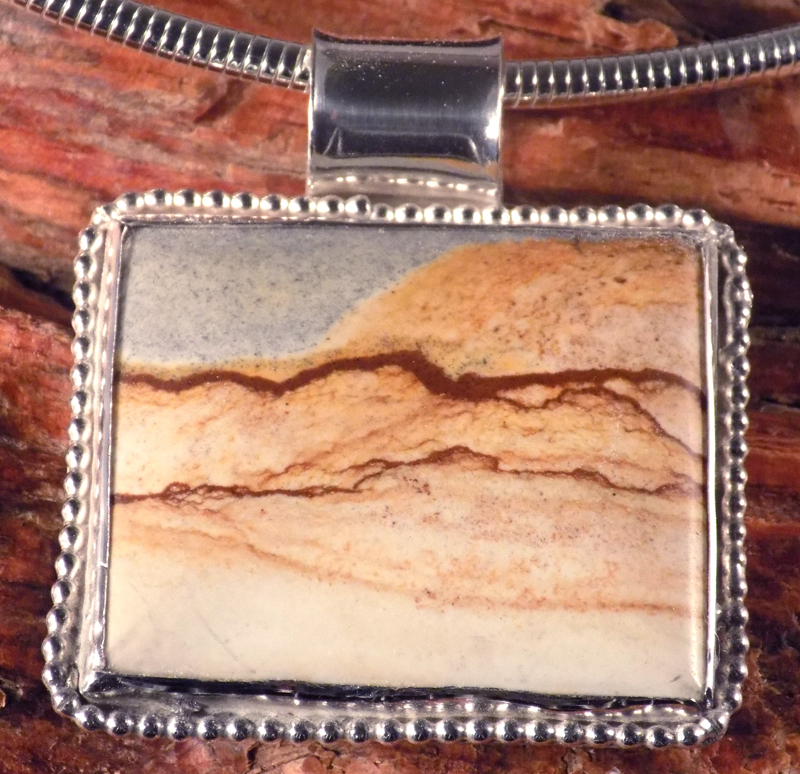 If you look at the pendant below, it resembles a painting of the southwest desert. This pendant is offered as pendant only and has a very generous bail, so it will accept a snake or cobra chain from your collection. As always, the bezel and the bail are Sterling Silver. $125.00 including free shipping within the US. 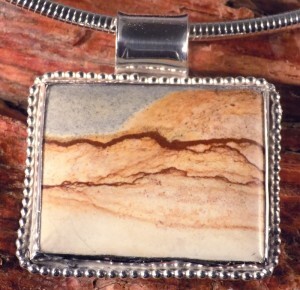 This Picture Stone Jasper pendant is approximately 1 3/4″ wide.